With a fleet that’s teeming with regatta regulars, carbon flyers and yachts boasting the world’s top sailors it comes as no surprise that the racing these past two days has been as tight as ever. For example on the 90ft Nautor Swan Odin almost half of their sail-savvy team consist of Olympic and America’s Cup sailors. Also the performance Perini P2 is sailed hard by an equally large amount of big name sailors who have been racing together for many years now. This year the team was complemented by Archie Leeu (18) and Thami Hoza (17), two students from the South African Lawhill Maritime Centre who have been selected by Marine Inspirations to race as part of the crew in order to get some hands-on seamanship and expose them to possible yachting career opportunities. Both the first and second day of racing has seen some intense superyacht competition: smart tactics, close racing and fierce battles. So there was still a lot to tussle for during today’s ultimate showdown. 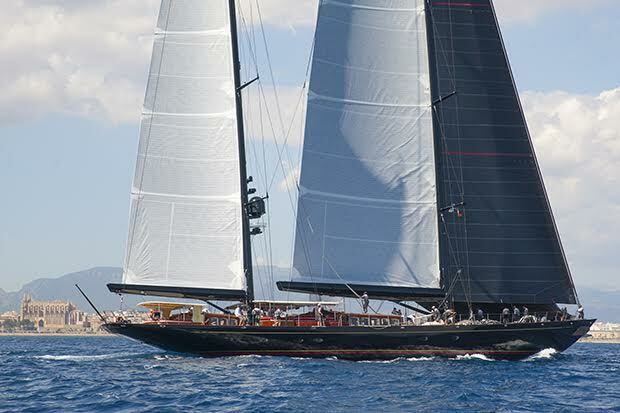 In Class A it was the beautiful, black ketch Marie who went into the final race day with a lead of two bullets, sitting a comfortable 3 points above regatta veteran P2. In Class B things were extra exciting with both team Odin and the dazzling, carbon flyer Inouï sharing four points, just one point ahead of yesterday’s winner Kiboko Dos. And in Class C it was the new Oyster Maegan who went into today’s last St. Regis Race with 2 points over Clan VIII and Blue Too. Today’s clear skies and the prediction of Palma’s trustworthy SW sea breeze peaking mid -afternoon meant the 21-strong fleet were in for a real treat going into the deciding race. To keep the competitors on their toes the race committee opted for a riveting and tactical 27.5nm course which started the fleet off on a downwind leg. Racing got underway at 13.00 and saw Thursday’s Class winner Clan VIII round the leeward mark first, followed closely by classic lined Blue Too and Claasen‘s Truly Classic Heartbeat. 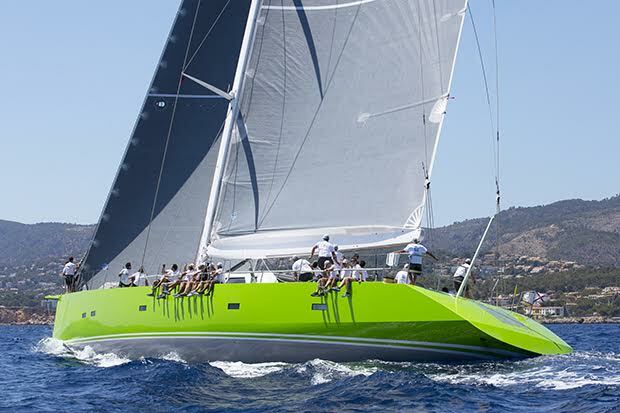 Heartbeat bagged a class win during last year’s SYC and claimed overall victory the year before so clearly has a lot of race winning potential.. The second mark saw a reversal with both Blue Too and Heartbeat snatching the lead from Clan VIII. The drama ran deeper in Class A as P2 ran over their kite in the drop and got it wrapped around their keel. Team P2 had to retire from the race just like the giant of the fleet, the 60m P^3, who suffered from technical issues on board. The classically elegant Maria Cattiva, who’s competing this year for the fifth time, was the first round Bahia two, ahead of Maegan and Marie. Still on her A game the 55m Marie chased Maria Cattiva down and rounded Illetas 1.28 minutes before Maria Cattiva and 2.49 minutes before yesterday’s Class C winner Maegan. 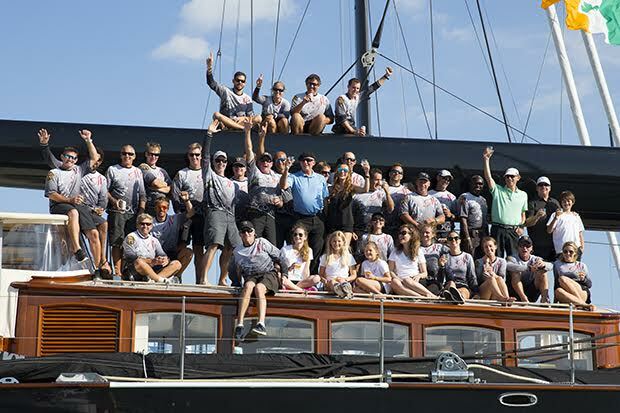 The black hulledVitters built boat was not giving an inch today and screamed around the fifth, sixth and seventh mark, leaving first the all-carbon cruiser Win Win and then, the newly reinforced Open Season to chase her down. The 30m Wally Open Season, known for cleaning up on the race course, managed to sneak out in front and round the 8th Porrasa mark first, 2.15 minutes in front of the 45m seasoned racer Saudade. She continued to power down to the finish line, crossing 2.15 minutes in front of Visione and 3.07 minutes ahead of the 45m Wally Saudade. In class A it was the unbeatable, cannon firing Marie who kept her class win from yesterday and the day before. Slick crew maneuvrings and solid sailing in Class B saw the exciting, high- caliber superyacht Win Win charge home to claim the win while the 45m Perini Clan VIII, again took top slot in Class C.
This 19th edition concluded with the spectacular prize-giving with some of the very best of the superyacht sailing scene concentrated in the Superyacht Cup’s race village, suntanned, smiling and still animatedly discussing the day’s events. As 1st, 2nd and 3rd prizes were awarded in each class, groups of at least 20 grinning sailors stormed the stage while receiving plenty of whistles and woo’s from the convivial crowd. Fellow competitors were thanked for the past great days on the water assuring their return next year to passionately defend their title. One of the high points of the evening was of course the announcement of this year’s overall winner, the 55m classic ketch Marie. No doubt the 9 winning teams will have a big night of celebrations ahead.. The SYC also presented a cheque of 10.500€ to the long running local charity Joves Navigantes. Initiated by an enthusiastic group of sailors, the foundation reaches out to the island’s underprivileged boys and girls through the practice of sailing.